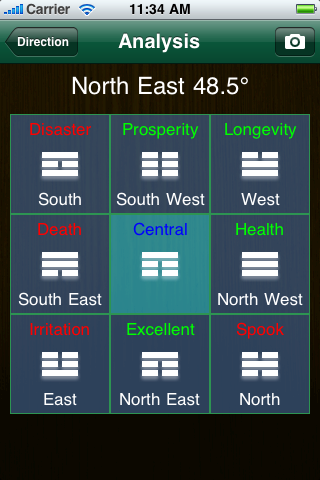 So you may wonder how to apply the readings from ezFengShui to your property if you don’t know much about 8 House Feng Shui theory. It’s simple but first, you should have a floor plan of your property. Here’s a sample floor plan. 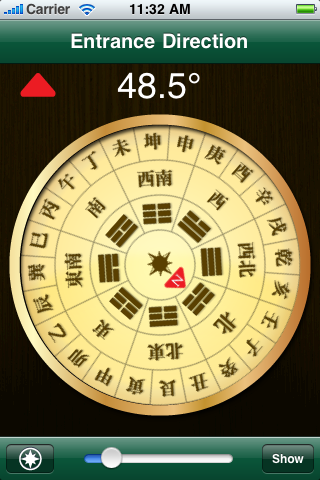 Use ezFengShui to find out the base direction of the main entrance manually or with the help of the digital compass. Point your iPhone towards outside. Click “Show’ to get to the analysis page. What you need to do is divide your floor plan into roughly 9 equal squares. Now you can see which spot is good or bad. 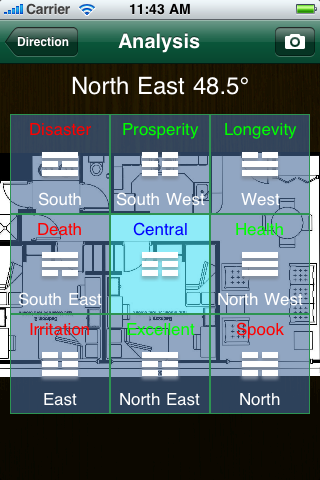 If your property has multiple floors, the 8 House analysis will apply to each floor.